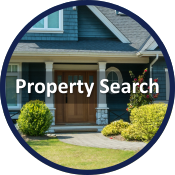 Search through thousands of listings to find the perfect home for you and your family. We’re always here to help answer any questions that you may have. Trust our experts to give you a personalized Value Assessment within 24 hours. 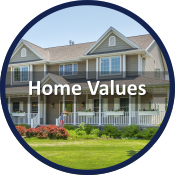 Our market snapshot will give you the true value of your home. Create a custom market report of your own. Our user-friendly drop-down menu of neighborhoods located within a preferred city takes only seconds to complete. Find All The Best Washington Homes For Sale! Balance "finally returning" to Housing Markets! Housing inventory continued to improve during September while the pace of sales slowed in many counties around the Puget Sound region. Northwest MLS shows double-digit increases in inventory in several of the 23 counties it serves, led by a 78 percent year-over-year gain in King County. Despite improving selection in the central Puget Sound region, a dozen counties reported drops in the number of active listings compared to last year. With current inventory levels showing 2.56 months of supply of single family homes and condos, we are well below the 4-to-6 months analysts use as an indicator of a balanced market between sellers and buyers. The current level is the highest since February 2015 when was 3.56 months of inventory. In King County, supply exceeded two months for the first time since January 2015. Northwest Brokers added 10,458 new listings of single family homes and condos to the MLS database during September, slightly more than the year-ago figure of 10,120. 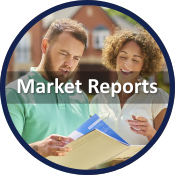 At month end, buyers could choose from 19,526 listings, a 22.9 percent improvement from twelve months ago when selection totaled 15,888 listings. While many potential buyers continue to sit on the fence and wait to see what the markets do, there are still many opportunities for those who have positioned themselves. Having all of their ducks lined up with their financing in place and a sound plan for when the chance to buy presents itself, they can still find good deals. Looking to buy or sell and want the process to be a little more painless? Call or email us and let us show you how we can remove a lot of this stress in these present conditions. 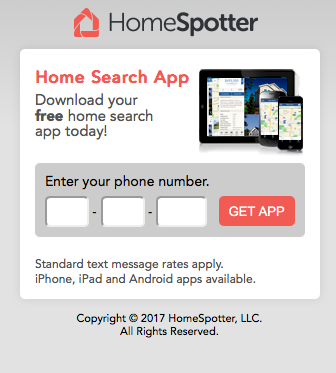 Start here by downloading our newest app that lets you search our MLS in "real time" and even chat with someone if you have questions! It's free from the app store. Listing courtesy of Better Properties NW. Courtesy of RE/MAX Extra Inc. Listing courtesy of RE/MAX Extra Inc.. Listing courtesy of Better Properties UP/Fircrest. Listing courtesy of Dupont Realty & Property Mgmt.